In George Orwell’s dystopian novel “1984,” the “Ministry of Truth” was constantly changing historical records to conform with political policy of the present. The same thing seems to be happening with official temperature records. 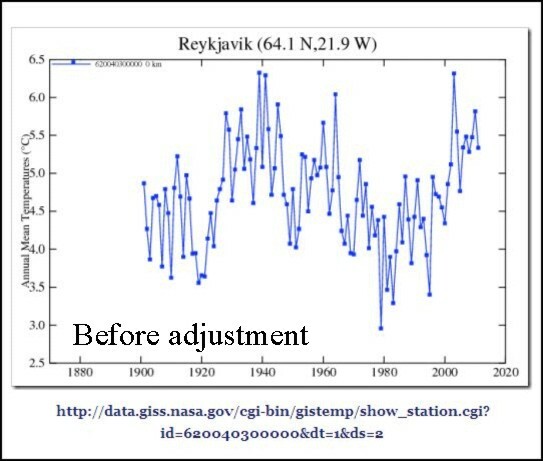 With each new publication of the official temperature record, the past, especially the 1930s is shown as cooler than it was in earlier versions, and more recent temperatures are shown as warmer. 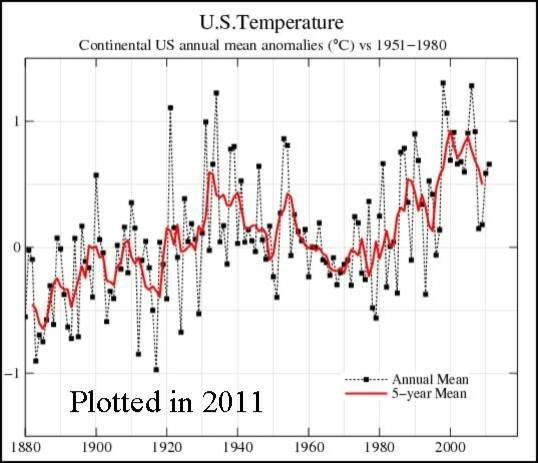 This phenomenon is due to government data manipulation designed to make the present look warmer in relation to the past. This falls in line with the global warming scam that demands we reduce our carbon dioxide emissions and use the more unreliable wind and solar energy rather than burn our abundant fossil fuels, or dire consequences will follow. Chief temperature tamperers in the U.S. are the National Climatic Data Center, part of NOAA, which maintains the Global Historical Climatology Network (GHCN), and the Goddard Institute for Space Studies (GISS) which is part of NASA. Notice how the past got cooler? Note that the vertical scales are different between the graphs. However, look particularly at the year 1999 on both graphs. 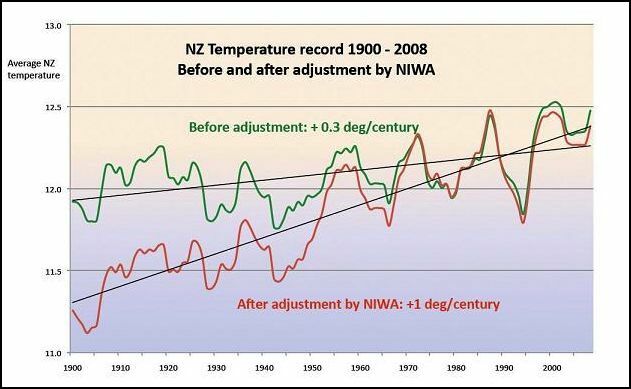 On the earlier graph, the 1999 temperature anomaly was less than 1 degree C and cooler than the 1930s. 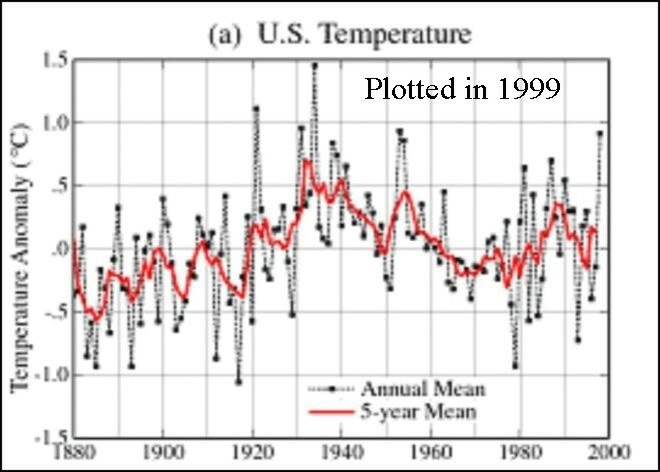 In the more recent graph, however, the 1999 temperature anomaly was more than 1 degree C and warmer than the 1930s. It seems that in the realm of climate, government science is mostly political science. Good science has been corrupted by ideology and politically correct funding. It seems that Big Brother is in charge of government climate science. This article was originally published in the Arizona Daily Independent. 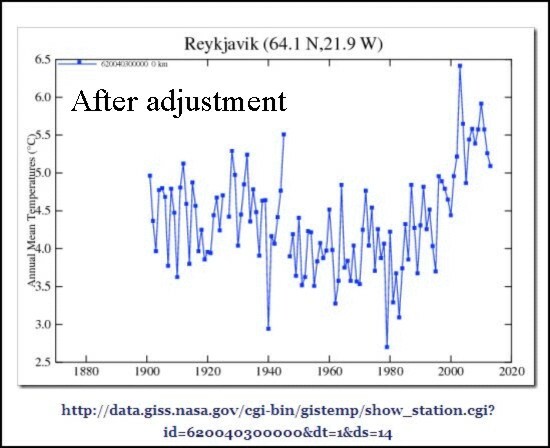 Posted in Climate change and tagged Climate change, data tampering, GISS, global warming, NOAA on April 10, 2014 by wryheat2.